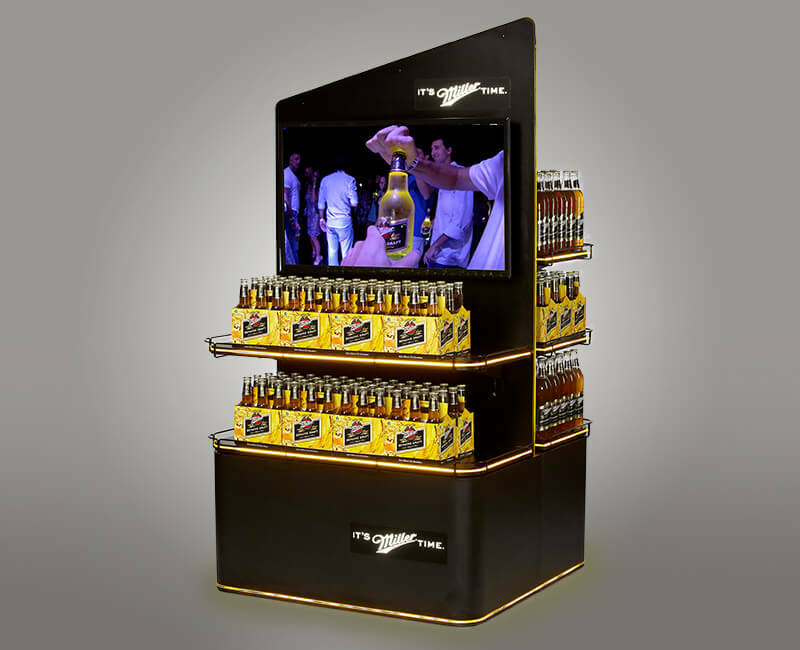 Premium beer display to showcase and promote the Miller Genuine Draft brand in premium beer retailers. Display needs to accommodate a large amount of product, be shopped from both sides and attract a consumer. Wood, metal, and wire materials were used along with LED lighting to create a “destination” in premium retail spaces. Black laminate accentuates the illuminated header and shelf edges while high-definition monitors provide running lifestyle shots to attract the shopper. Shelves were able to hold over 400 pounds for a large mix of product. LED lighting for added attract. 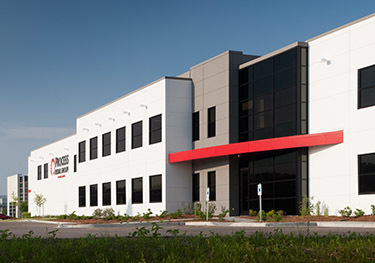 Ability to hold large amounts of product in multiple configurations. Lifestyle videos on 2 high definition screens highlight people enjoying the product. 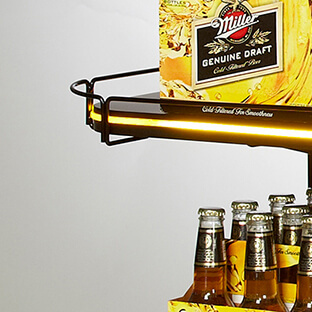 Illuminated logos and embedded LEDs around the shelf edge create a glow to bring an innovative look to the display. Ability to showcase large amount of varied product. 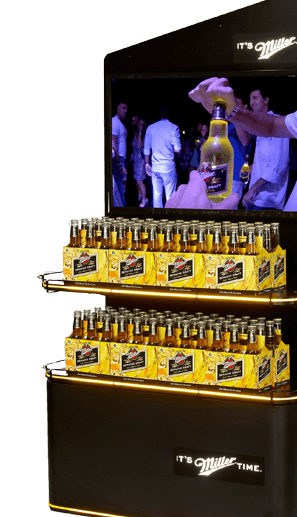 MGD saw an increase in product sales due to the “destination” that the display created.